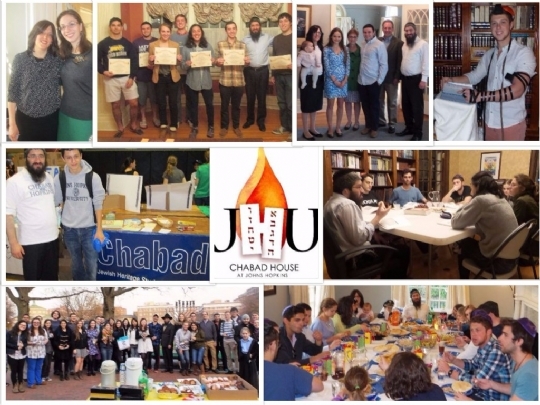 The Chabad House at Johns Hopkins provides “a home away from home” for students, and various community programs throughout the year. 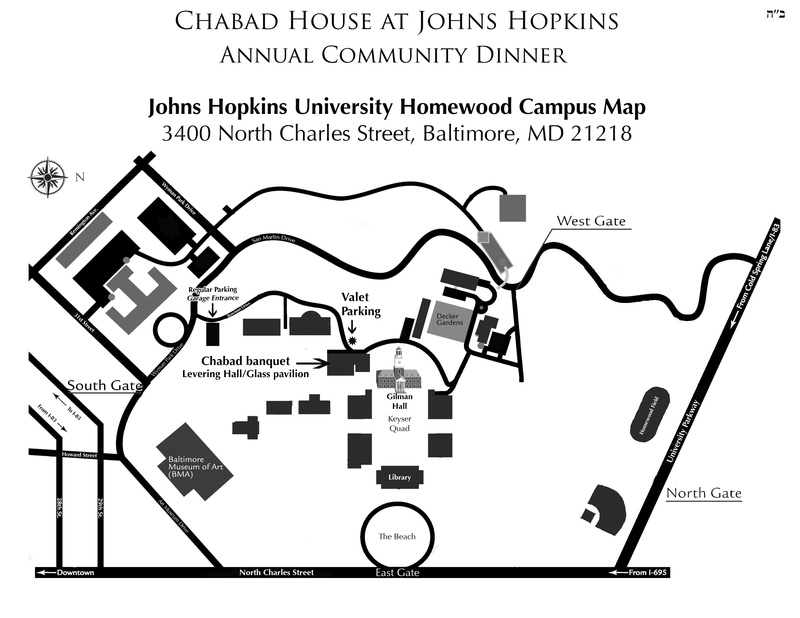 Programs offered by Chabad at Johns Hopkins include: Adult Education, Student Groups, Sinai Scholars Society, High School Teen Programs, Personal Counseling, Holiday Awareness Programs, Hospital and Nursing Home Visitation, Library, Mezuzah and Tefillin Campaign, Shabbat and Festival Dinners, High Holiday Services, Chaplain Services, Bar/Bat Mitzvah Instruction. 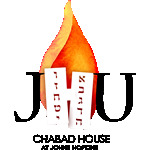 As a thriving member of the international Chabad-Lubavitch movement, our goal is to provide a warm, welcoming environment for meaningful and joyful participation in the full spectrum of traditional Jewish life. Our programs promote knowledge and appreciation of Jewish heritage and culture, and foster spiritual growth and social fulfillment.